It’s about that time. 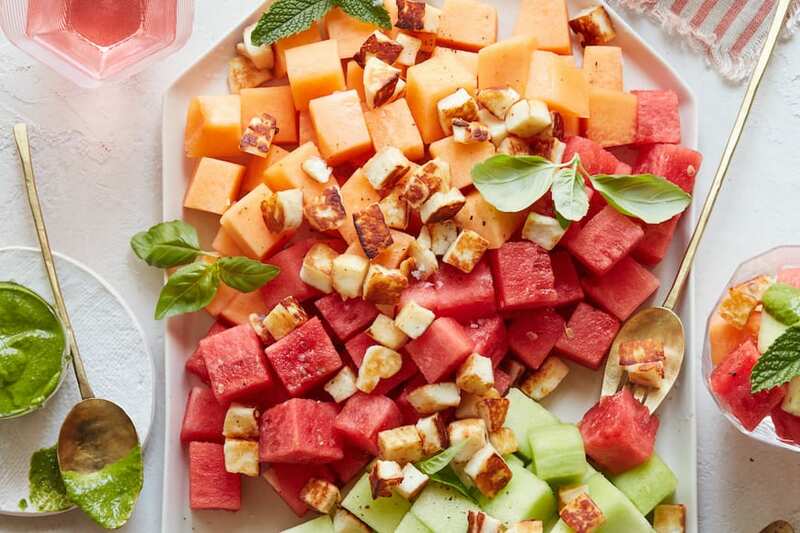 We’ve been going mostly healthy since the start of the year but The Big Game is only a few short weeks away and it’s time to buckle down and get to business. 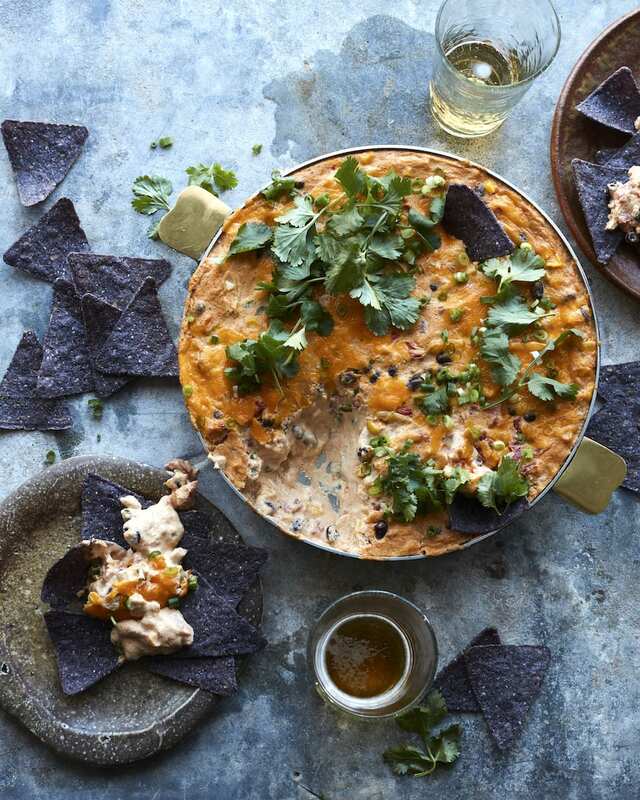 We’re kicking the season off with Tex Mex Enchilada Queso – duh. 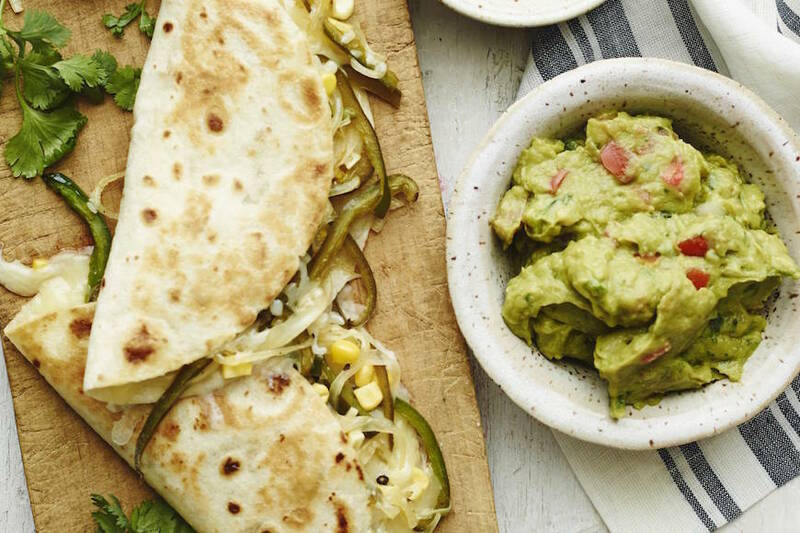 Another part of this recipe that is mandatory – Garden of Eatin’® Tortilla Chips!! Don’t skimp – you need these! 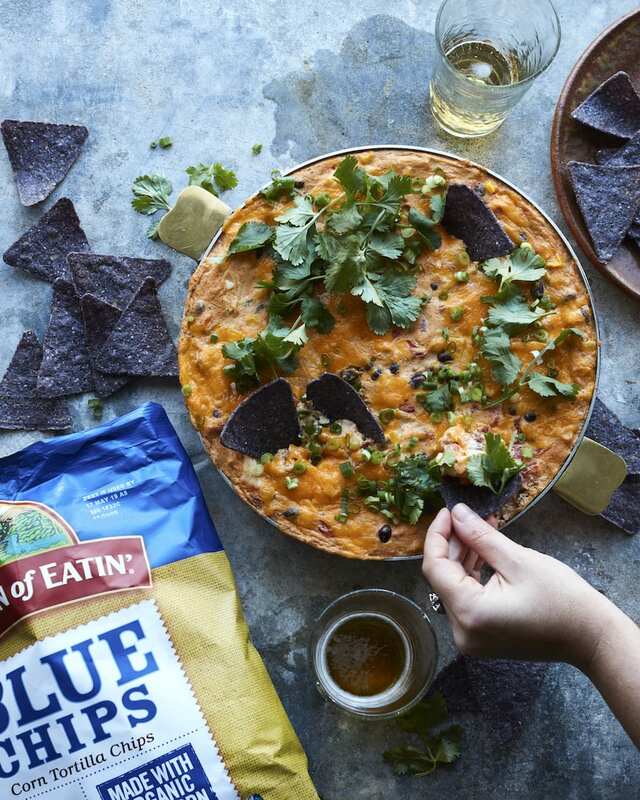 The original non-GMO Blue Corn Tortilla Chips offer a hearty texture, satisfying crunch and organic, true-blue corn flavor, which is perfect with this dip. 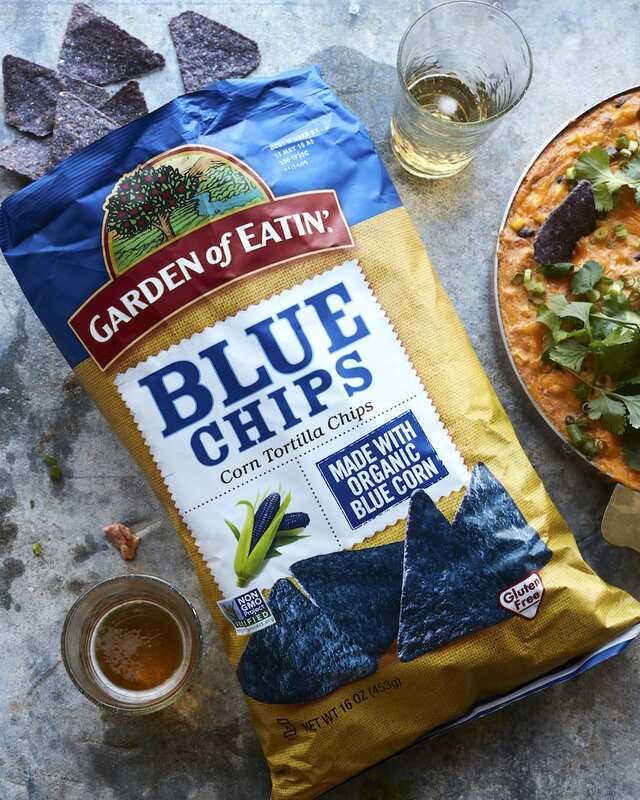 If you’re looking for an extra kick of flavor, grab the Garden of Eatin’ Red Hot Blues® Corn Tortilla Chips. 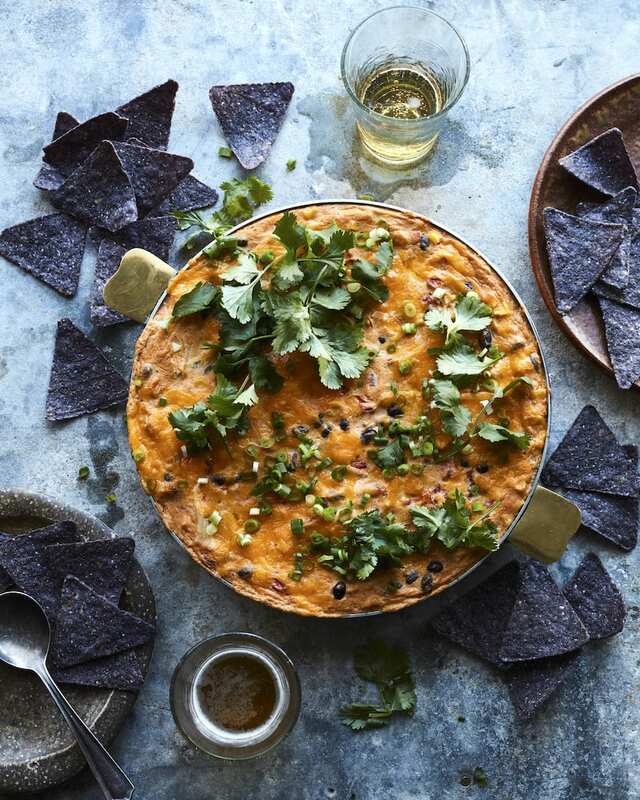 Sprinkled with a dash of cayenne pepper complements the Tex Mex Enchilada Queso like a BOSS! All varieties are made with the best quality real ingredients, non-GMO, organic and certified gluten-free! And word to the wise – grab a few extra bags because there is nothing worse than having a big pot of queso and running out of chips. Basically the biggest party foul you could imagine. Best part about this entire situation, you could assemble it ahead of time and bake it off right before your guests show up. That way it’s bubbling and ready to go for kick off. And no one is cooking during kick off! So, while the game is still over 2 weeks away, best to start making your menu now. And put THIS situation front and center! 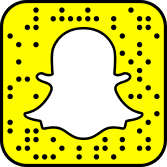 To find a store near you – click here! Lightly coat a deep 9-inch skillet cooking spray. 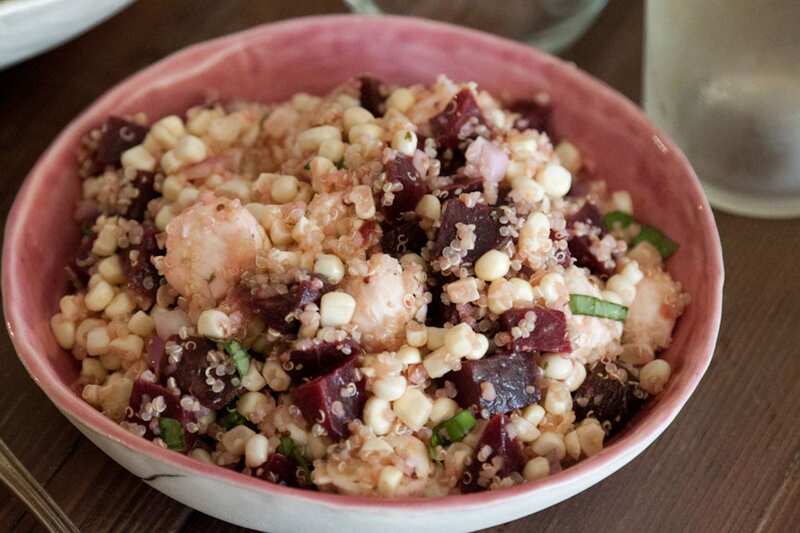 In a large bowl on medium speed, beat together the cream cheese, sour cream, chili powder, cumin, garlic powder, and salt until smooth and well combined. Reduce speed to low then beat in the enchilada sauce until incorporated. Stir in the beans, tomatoes, corn, 1/2 cup cheddar cheese, and shredded chicken. Transfer the mixture to the prepared baking dish. Top with remaining 1/2 cup cheddar cheese. Bake for 25-30 minutes, until the dip is hot and the cheese is bubbly. 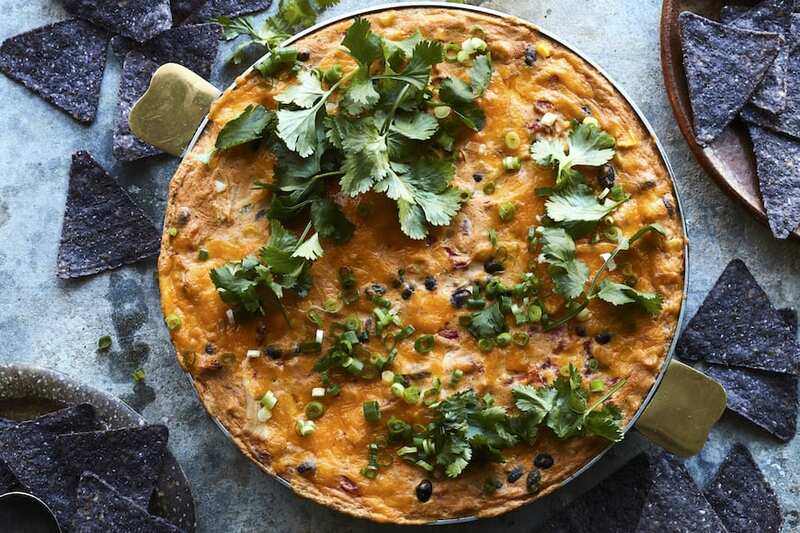 Sprinkle with cilantro and green onions, and serve warm with Garden of Eatin’® Tortilla Chips. O.M.G. I could just dive into this and be happy forever! Is the baking needed or could I just put it on low in a slow cooker for an hour or 2 and then keep it warm in there? Vegetarian options possible? Need to swap the chicken or just leave it out? you can just omit no problem! Amazing! Can I swim in it??? How much does this make or serve? Hi! If you had to choose between this dip and the jalapeño popper dip…? I’ve done your cheesy artichoke dip, your Kopanisti dip, your bruschetta board, and many more… so I know they’re all good. But I need help deciding for this weekend. Thank you! ugh! such a tough choice. 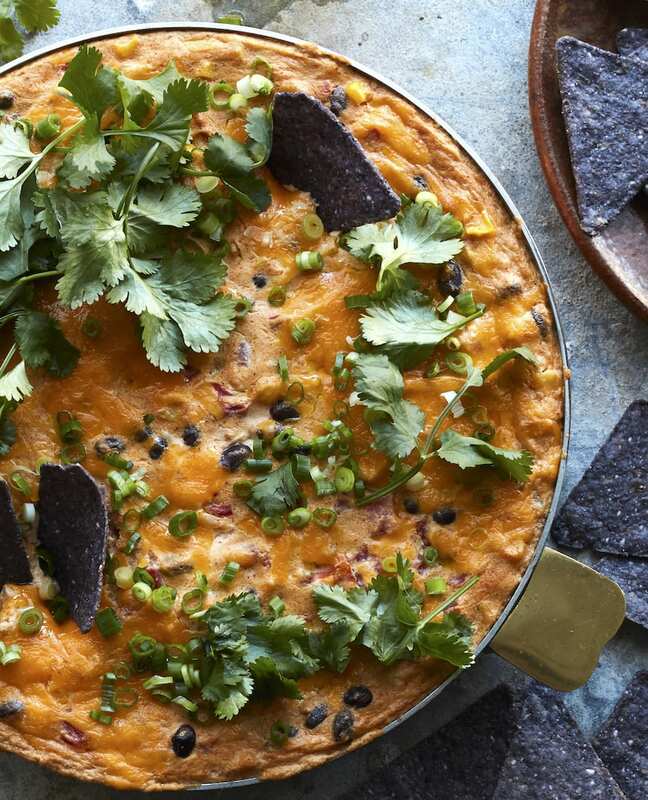 The jalapeno popper dip is EPIC if you want spicier! This is great if you want chicken! Going for popper dip! Thank you! Okay to make ahead, transport and bake at the party? Thanks! Delicious! I kind of mixed this recipe with your Poblano Corn dip recipe by sautéing an onion and 2 poblanos and then mixing it in with all these ingredients. Since I don’t eat chicken I thought it would be a good substitution. Everyone loved it!